The DD-1920-HDMI-EDPT LCD controller is a compact HDMI input general purpose solution for LCD panels up to 1920x1200 resolution. One of the key features of this highly reliable controller is the low signal latency from input signal to panel output signal. 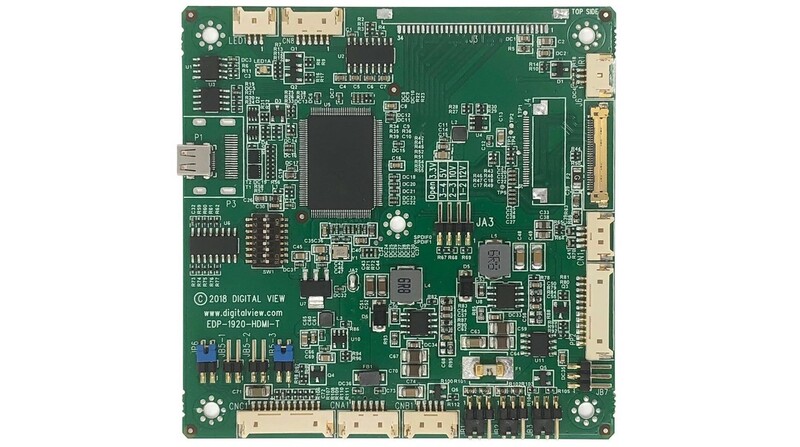 Volatility 1 pc MCU in RTD2556 on U5 30Kbyte volatile memory for SRAM for OSD storage. 1 pc Flash memory on U1 8Mbits non-volatile memory for system program. 1 pc EEPROM on U3 16Kbits non-volatile memory for system setting storage.